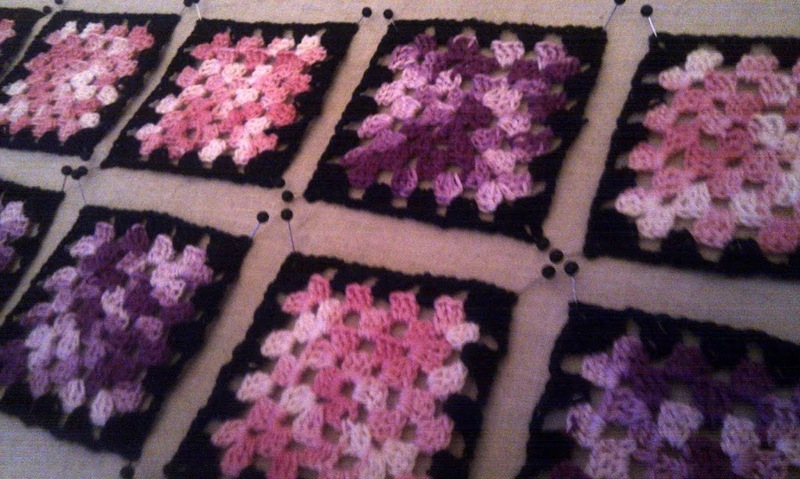 I seem to have zoned in on granny squares lately. I am making 80+ squares to make a vest, to wear over tanktops this summer. There is a whole lotta blocking going on!